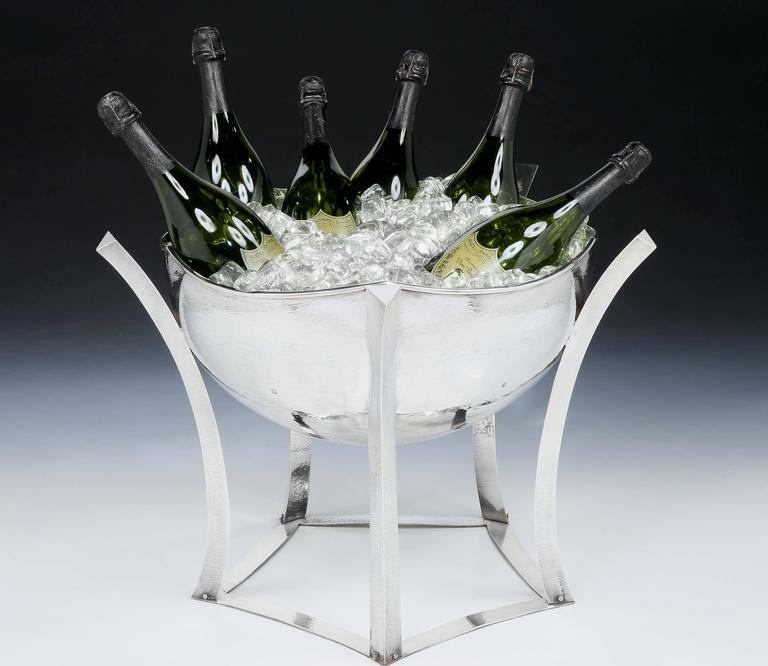 This Giant, Modernist Sterling silver Champagne cooler is no longer available. An extremely unusual Sterling silver Champagne coupe in the Modernist style, of large proportions, the body with a hammered bark finish, mounted by five swept and fine curved triangular section supports, with a pentangle foot. Fully hallmarked London, 1979. 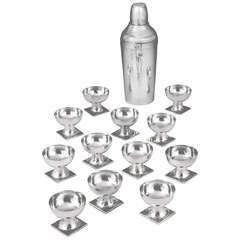 Comfortably accommodates 8 magnums of Champagne plus ice (6 shown). Very good condition, very light wear, no dents. 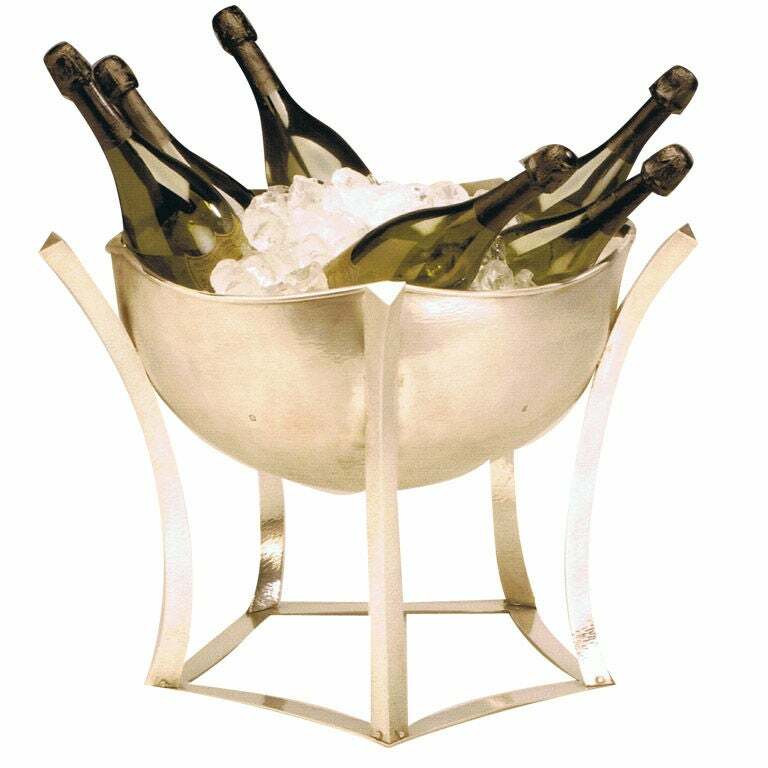 Understated elegance in the simplicity of the design on this sterling silver footed champagne/wine bucket or cooler, American, circa 1960. 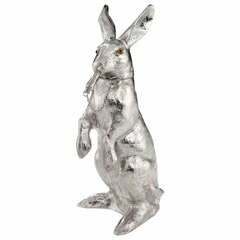 A wonderful hip flask in sterling silver with flip-top marked Cartier and with silver marks.